SkyTruth is releasing a dynamic map of satellite data visualizing the wasteful practice of natural gas flaring around the world. 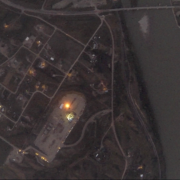 The SkyTruth Global Flaring Visualization compiles nightly infrared data from NOAA’s Suomi NPP satellite, and filters it to display gas flares associated with oil and gas production. The map is a direct result of a crowdfunded groundtruthing mission last year in North Dakota’s Bakken Shale where flares light up the night sky. 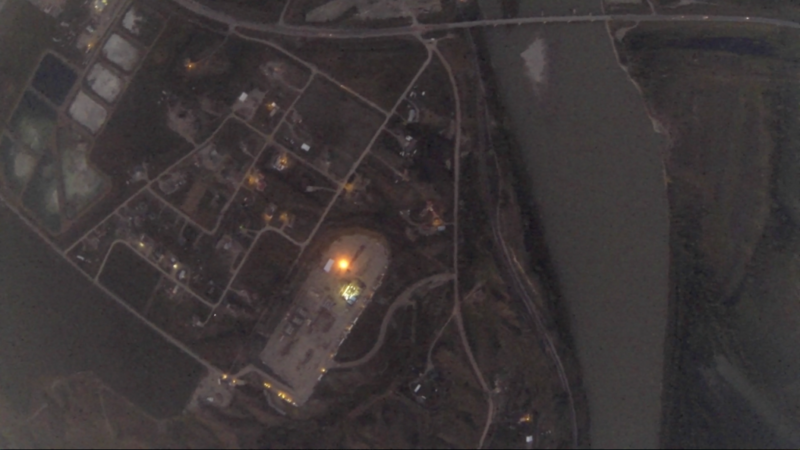 Flaring from a Bakken shale wellpad just outside Williston, North Dakota, as seen by a camera aboard a high-altitude balloon launched by SkyTruth and Space for All in Sept. 2013. “This new tool makes the scale and frequency of flaring more comprehensible and less abstract,” said Paul Woods, Chief Technology Officer at SkyTruth. “Hopefully, enabling everyone to see where, when, and how often operators are flaring will create public pressure on government and industry to reduce the waste of this hard-won natural resource,” Woods continued. Also released today, SkyTruth’s partners at Earthworks have produced a report on flaring in the Bakken and Texas’ Eagle Ford Shale, finding that North Dakota drillers have reported burning $854 million in natural gas since 2010 and that neither state independently tracks how much gas has been lost forever through flaring. Earthworks also calculated that the 130 billion cubic feet of natural gas burned in the Bakken and Eagle Ford Shale has produced the equivalent of 1.5 million cars’ emissions of carbon dioxide – a greenhouse gas. SkyTruth’s flaring map puts these enormous numbers in perspective, and can enable regulators and citizen watchdogs to see if companies really are taking action to reduce the occurrence of flaring. 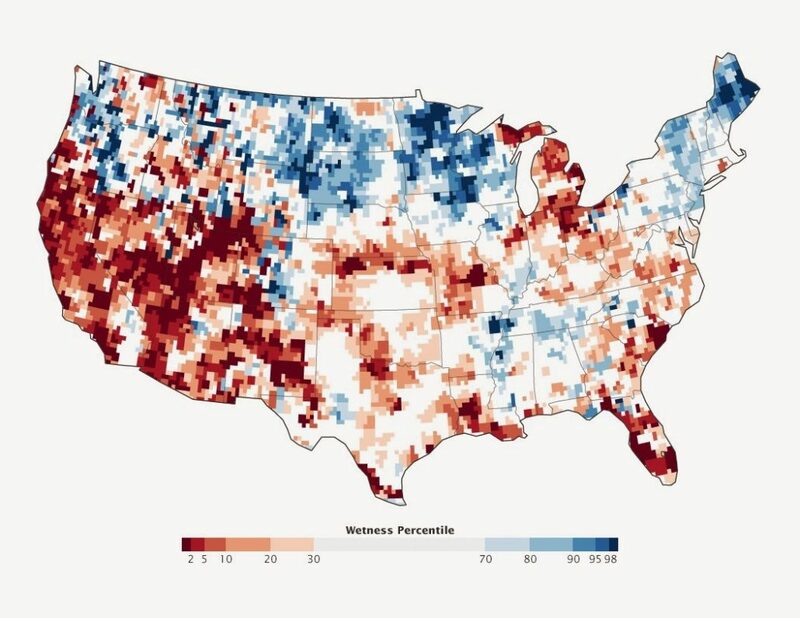 Click below for more information and to see a full-screen version of the map. SkyTruth is announcing a very special edition of our FrackFinder Ohio project, courtesy of our partners at FracTracker and Lighthawk. 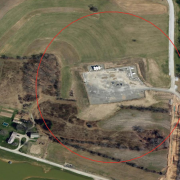 With FrackFinder Ohio: Wellpad Mapper – 2014, you can map drilling in Caroll, Columbiana, Harrison, and Jefferson counties using brand new aerial survey imagery flown by LightHawk pilots back in May. 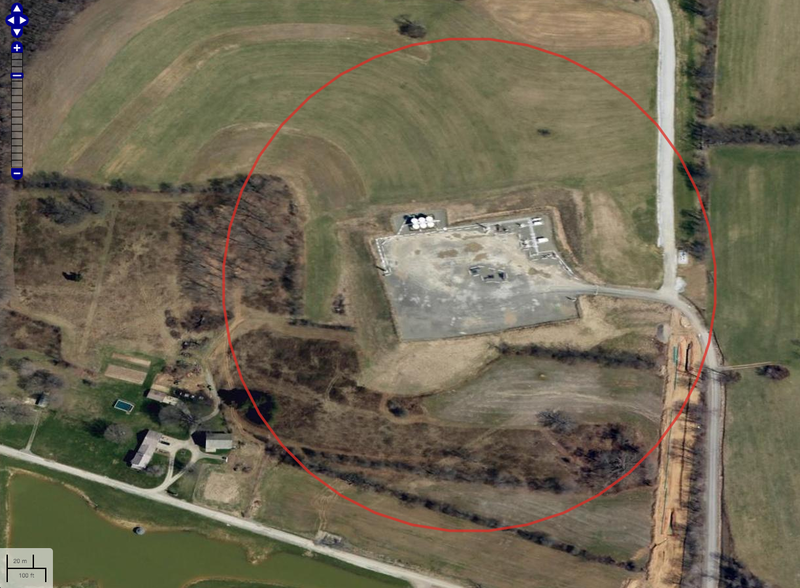 So far, all our FrackFinder projects have used aerial photos from the USDA’s National Agricultural Imagery Program (NAIP), but this gives you a chance to do some skytruthing with the freshest imagery around. 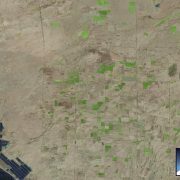 Last year we had to wait about six months to get the latest high-resolution USDA imagery, and they only survey once every 2-3 years. This project is one of many exciting examples of how the costs of remote sensing technology are coming down; meaning we can do more frequent and better-quality skytruthing. There are only about 140 sites for each person to review, so this project will go fast. Then come back to help us measure the total area impacted by drilling. 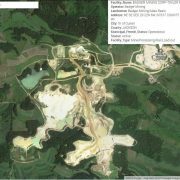 SkyTruth – Shepherdstown, WV: On Monday, August 4, 2014, an approximately 580 acre tailings impoundment failed at a Canadian gold and copper mine near Likely, British Columbia. The breach at Imperial Metal’s Mt. Polley mine dumped an estimated 1.3 billion gallons of toxic mine waste into the surrounding environment. 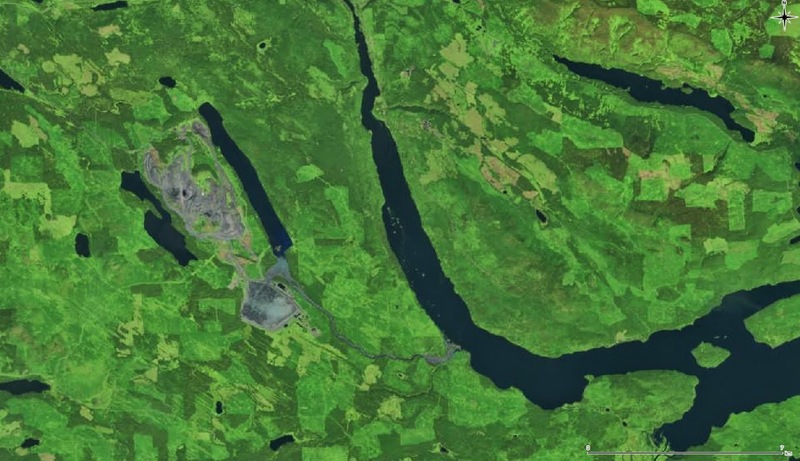 On August 5, Landsat 8 acquired an image of the mine showing that grey sludge from the breached dam has entered Polley Lake, saturated the entire length of Hazeltine Creek, and entered Quesnel Lake over five miles downstream of the failed impoundment. The spill has prompted drinking water bans throughout the region, since the pond contains a slurry laden with arsenic, lead, mercury, selenium, and other toxic metals and compounds. The president of Imperial Metals, Brian Kynoch, claims that the water in the tailings pond is “near drinking water quality” and expressed disbelief that the impoundment could fail so catastrophically, despite the fact that Canadian officials had issued multiple warnings to Imperial Metals for exceeding water quality standards for effluent and exceeding the permitted wastewater levels in the pond. Local citizens anticipating the arrival of a salmon run now fear the worst for the environment and tourism, especially as they begin to document dead fish in Quesnel Lake. Environmental groups across North America will be watching this story closely given the similarities to the proposed Pebble Mine in Alaska’s Bristol Bay watershed, the world’s most productive wild salmon fishery. Tailings ponds at Pebble mine would cover a surface area 13 times larger than the Mt. 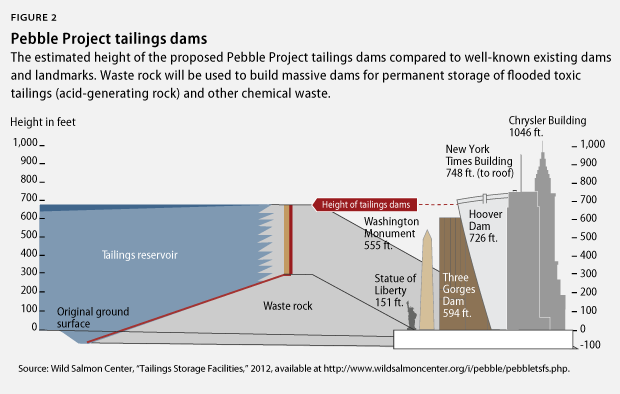 Polley impoundment and would have earthen dams taller than the Washington Monument. Well, the process of hydraulic fracturing forces fluid into the rock at extremely high pressure. This pries open natural pre-existing cracks (fractures) in the bedrock, and also causes new cracks (induced fractures) to form. This network of enhanced and induced fractures is what allows gas and oil to flow out of the rock and into the well. To keep these fractures from snapping shut when the fracking operation is completed and the pressure is eased, you need to prop them open with something. That’s why fracking fluid – a highly engineered fluid that is mostly water by volume, but can contain dozens of different chemicals – always includes a “proppant.” The drilling industry has developed manufactured proppants, but often the proppant of choice is a clean, consistent, well-rounded, tough, fine-grained sand. A typical fracking operation in the Eagle Ford Shale in Texas, for example, can use 4 million pounds or more of sand. Where is all the sand coming from? As you might expect, Texas is one place where sand-mining is booming. But surprisingly , most of this sand comes from a place more famously associated with beer and brauts: Wisconsin. The rapid proliferation of sand-mining operations is getting a lot of attention there and raising concerns about public health and safety, property values, quality of life, and environmental impacts. SkyTruth interactive map of active Wisconsin sand mining and processing facilities, as of May 1, 2014. Data from Wisconsin Department of Natural Resource. Detail from map. Click on the marker to get a popup box with more information about that facility. Voila! Here is our map of the Wisconsin frac-sand operations. We decided to only include “active” facilities on this map. 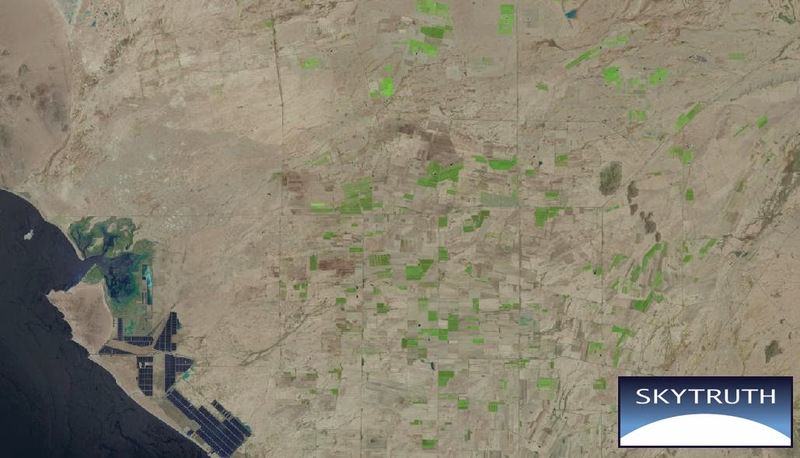 Now you can explore and zoom in on any facility, and see the latest high-resolution imagery available through Google (July 2011 in the example shown above).